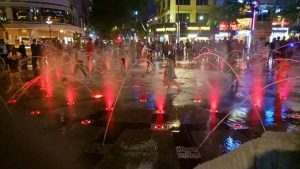 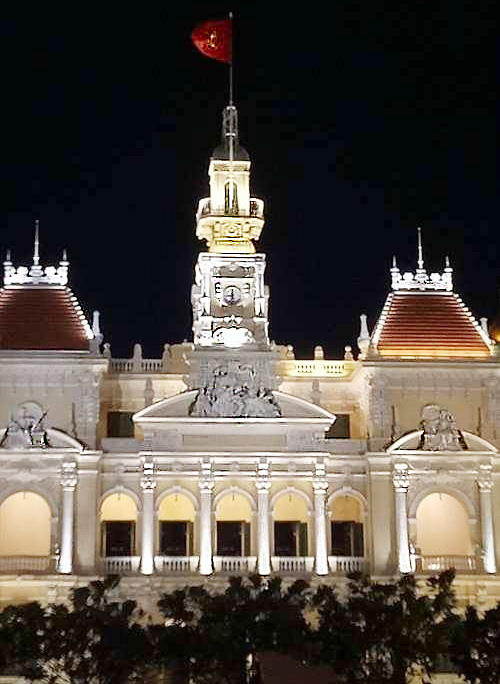 the boulevard surrounded by modern shopping malls and colonial French architecture.including the City Hall with the Vietnam national flag flying above it and the Rex Hotel which was home to International journalists during the Vietnam War. 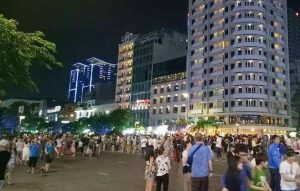 As with the rest of Vietnam, there were no police or soldiers to be seen and everyone seems to have been well behaved. 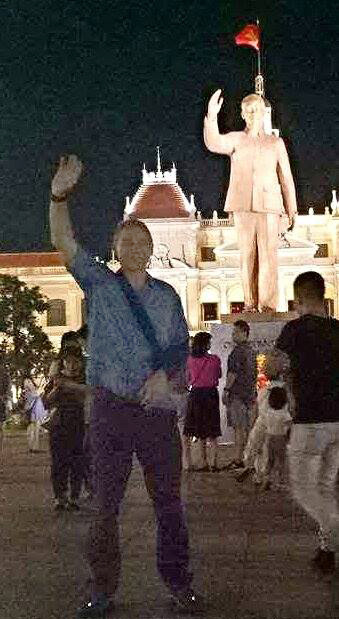 The square also has a statue of Uncle Ho, which was placed to honour the 100th birthday of Ho Chi Minh City People’s Committee (City Hall).